Known primarily for his ambitious sculptural works, drawing has always been a central part of Saad Qureshi’s practice, and the exhibition at the gallery will feature the first international presentation of his new landscape drawings and works on paper. A series of monumental drawings on wood explore Qureshi’s enduring fascination with memory and its reinterpretation of landscapes, transforming them into third places, hybrids of recollection and fantasy. This process of iteration through memory touches on the ineffability of lived experience: reminding us at once of its instability and its genius for invention. The ‘mindscapes’ evoked in Qureshi’s drawings are sourced from fragments of real places, snatched images of somewhere that is or has been. They invite their viewers to inhabit and absorb them into their mind’s eye, and in doing so to inform and transform them yet again. The works exploit the experiential qualities of wood and the powdery luminescence of brick dust, taking a building material and grinding it into a pigment. A second series of drawings explores the impressions of landscapes burnt into the memory, echoing the retinal imprint that registers the instant you shut your eyelids, fixing this photographic residue into a scorched outline on paper. Unlike the works on wood, the “scorched line” drawings are of places entirely imagined by the artist. 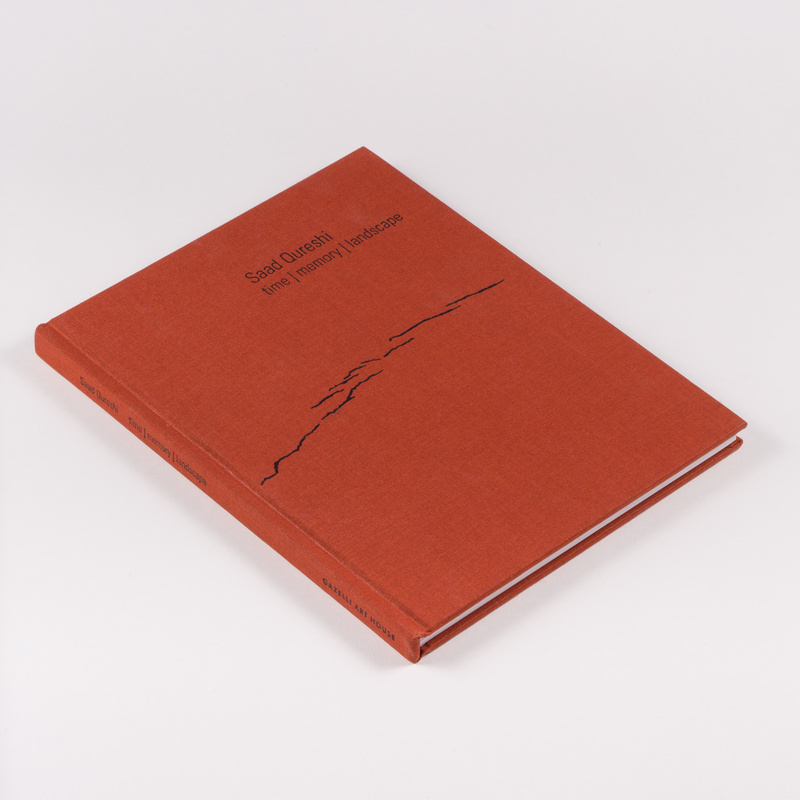 Evocations rather than depictions, they are meditations on the cadences of landscape, and how their rhythms unfold in the mind. 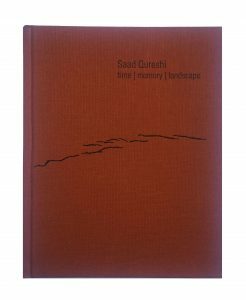 This exhibition catalogue is for time | memory | landscape, the third solo show of British artist Saad Qureshi at Gazelli Art House.